**Primal, passionate blend of shoegaze, post-rock and massive synth and guitar noise on the Chicago group's 2nd album for Kranky** "The band Implodes has, on their previous albums, tapped into the deep psychic recesses where our sonic memories ﬁrst took shape. They have played the part of the ancient ancestor, lying submerged in the shallows, waiting to make its gambit onto dry land and into a new world. With their new album, Recurring Dream, Implodes breathes fresh air. Melodies that were once distant echoes are now suffused with energy and clarity of purpose, submerged rhythms now walk in the light of day. Implodes does not, however, eschew its heritage. Heaviness abounds. The band has not abandoned the crushing pressure of the deep, dark places. But Recurring Dream breaches the thin membrane that contained its previous efforts and preys unmolested in its new environment. 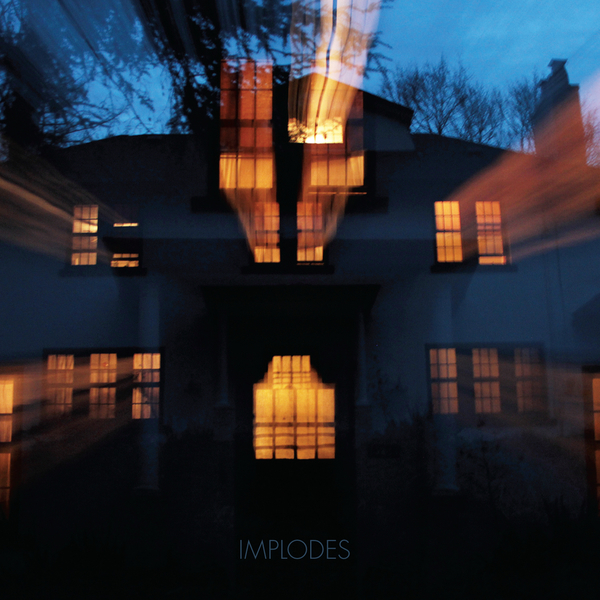 There has always been an organic component to Implodesʼ music, and not just because the band is comprised of humans. Its music is tied to those very earliest of our sonic traditions, to the sounds of Earth and space and deep water and simple machines. Recurring Dream is about waking up in the dark and witnessing the slow birth of consciousness, still tethered to fantasies and nightmares, and walking into the unknown."